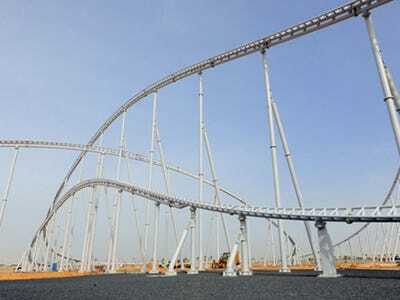 Before deciding on where to spend your summer screaming at the top of your lungs, you may want to check out this new addition to the world’s roller coaster elite in Abu Dhabi. 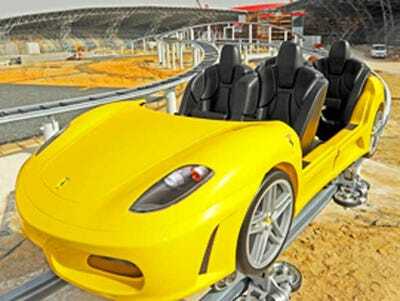 Ferrari World is set to offer what might be the fastest ride in the world, and its opening this year. 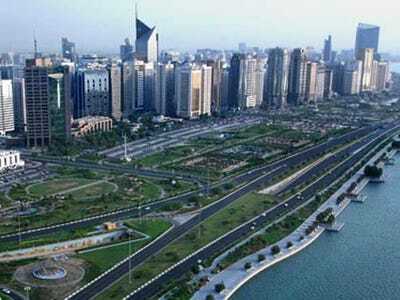 You might want to stay a while to catch your breath, so check out all the apartment and hotel options development company ALDAR is building as well. 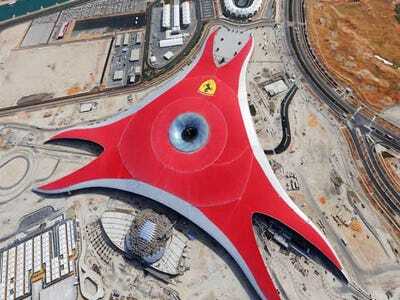 The 200,000 sq meter (2,152,800 sq ft) headquarters of Ferrari World. 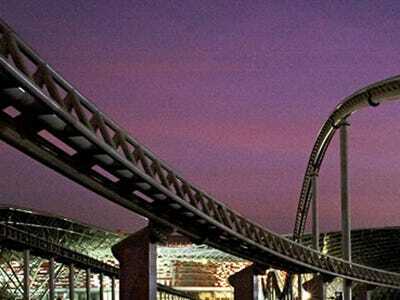 The coaster is still a work in progress. 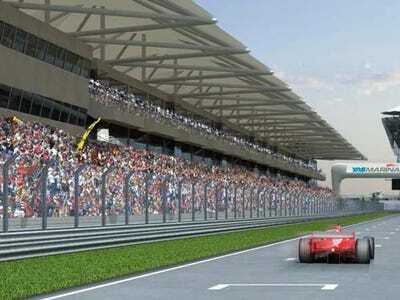 Check out your fancy Ferrari style seats. 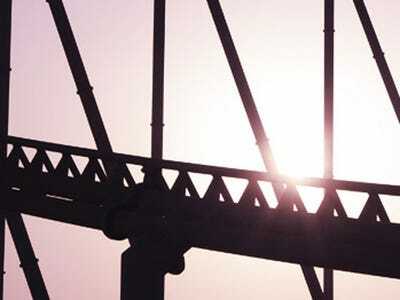 The roller coaster is the outdoor part of what will be the world's biggest indoor amusement park. 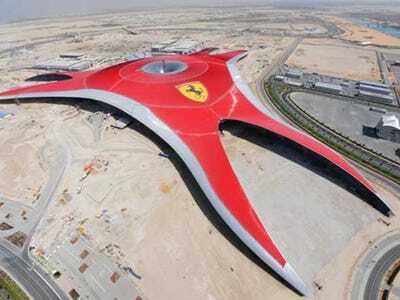 Looks like something James Cameron would dream up, but its based on the Ferrari GT body shell. Might be more fun to ride at night, out of the midday sun. No one knows how fast this thing will go yet, but some are saying more than 217 kph (135 mph). So why not relax and apply aloe in your luxury local condo, built by ALDAR. Or, the hotel connected to the project. 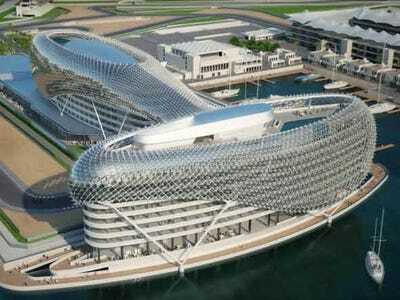 Total hotel rooms at Yas Island will be over 2,000. 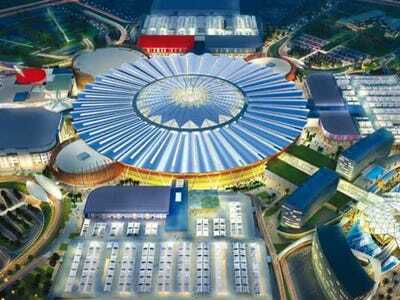 Or, the massive mall, all part of ALDAR's $75 billion in spending in and around Abu Dhabi. 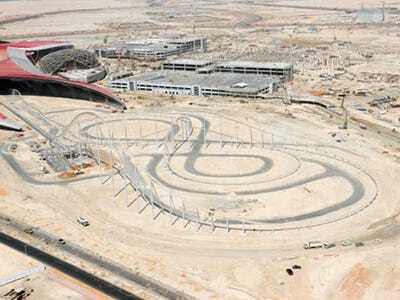 Did we mention that there is a race track on site? 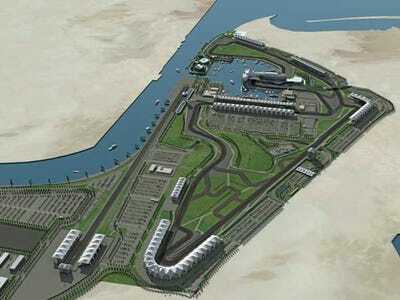 The race track is already opened and has hosted a Formula 1 event. Again, maybe George Lucas had a go at this one? 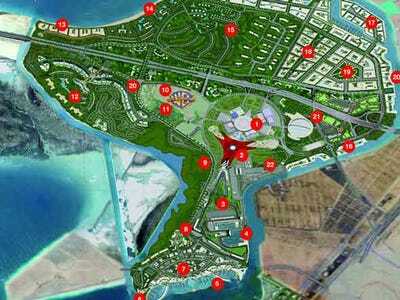 The whole Yas Island complex sits on about 10 square miles of land. 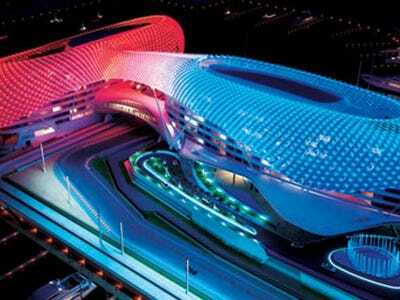 Abu Dhabi's looking rather shiny these days, and only a 30 minute drive from Yas Island.